Watch how the basics of a groove are created quickly and how to utilize Logic’s Capture Recording feature to make sure you never miss an idea. See how by working fast, grabbing sounds and creating melodies helps ANOTR get the track moving. Learn how ANOTR choose to send drums to a buss and start organizing the mix for processing. Discover how more low end sounds help add to the melody of the bass. Watch and learn how ANOTR build an arrangement, use off-kilter rhythms to create unique parts and utilize effects and dynamic tools. Dig in and see the EQ and processing that ANOTR use on their drum track to fine tune the drums within the overall mix. Understand how fast an idea can come together, watch and learn how to quickly fine tune an arrangement and make creative decisions on automation. Explore how kicks, toms sub bass and some more synth help craft the low end and drums of this track. Plus, how EQ helps define the kick and the track. ANOTR explain how their technique for bussing the low frequencies has been one of their staple processes in getting their signature sound. ANOTR explain the loops in the track, the loop processing, working the HiHat EQ, explaining the reverb buss and how they use it. A special tip of what ANOTR call a “ghost sample”, EQ Frequency removal, using PSP vintage warmer and LFO Tool to shape transients of samples. Explaining the use of a filler loop for glue and other percussion and loops. Watch and learn as ANOTR explain the creation before and after. A deep insight into the processing of all main drum sounds and loops. Hear the difference that EQ and processing on the buss can do for the track. ANOTR explain the synth sound of the track and their use of EQ, compression reverb. See how ANOTR created reverse effects, and use automation and a stack of delay, reverb and dub effects to craft a signature sound. Get the inside knowledge on how ANOTR created the arrangement for this dance floor smash. This young dutch duo have transitioned quickly from two friends with an attic studio to being touted as future superstars and releasing some of the most exciting tracks to hit the dance floor. 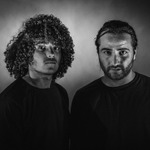 Despite still being in their early 20s, Jesse van der Heijden and Oguzhan Guney have created a unique sound blurring the tech house and traditional house boundaries. In this exclusive course in partnership with Armada University watch and learn their creation techniques as they serve up seven chapters on how they build and arrange a track from scratch and then also nine chapters where ANOTR break down, in detail, the production process behind their track, Cultural Decline.